Posted 5:13 pm by Jonny Pigg & filed under film. 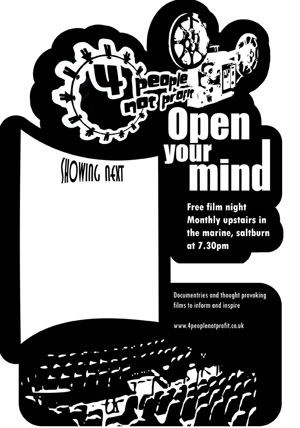 The film will be screened as usual upstairs in The Marine , Saltburn and will be on Thursday 17th April, Doors at 7pm and the film starts at 7.30pm. With time for discussion after the film, and as ever the event is free entry. Multinational coffee companies now rule our shopping malls and supermarkets and dominate the industry worth over $80 billion, making coffee the most valuable trading commodity in the world after oil. But while we continue to pay for our lattes and cappuccinos, the price paid to coffee farmers remains so low that many have been forced to abandon their coffee fields. Nowhere is this paradox more evident than in Ethiopia, the birthplace of coffee. Tadesse Meskela is one man on a mission to save his 74,000 struggling coffee farmers from bankrupcy. As his farmers strive to harvest some of the highest quality coffee beans on the international market, Tadesse travels the world in an attempt to find buyers willing to pay a fair price. Against the backdrop of Tadesse’s journey to London and Seattle, the enormous power of the multinational players that dominate the world’s coffee trade becomes apparent. New York commodity traders, the international coffee exchanges, and the double dealings of trade ministers at the World Trade Organisation reveal the many challenges Tadesse faces in his quest for a long term solution for his farmers.